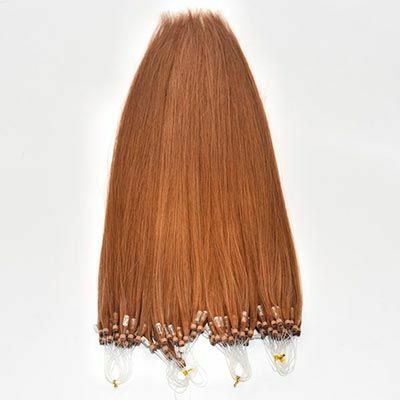 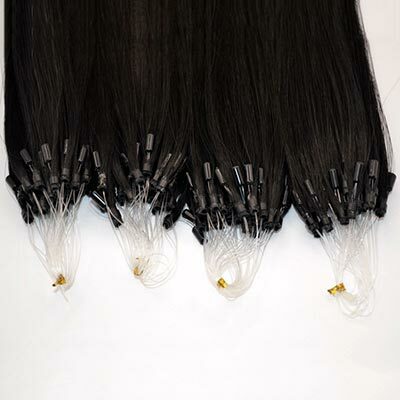 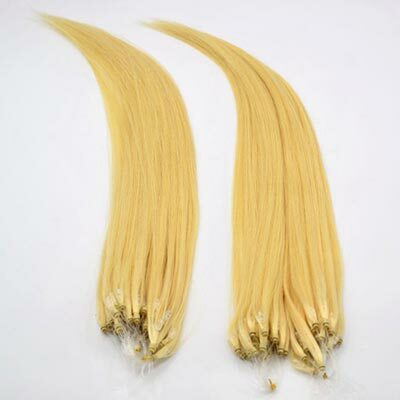 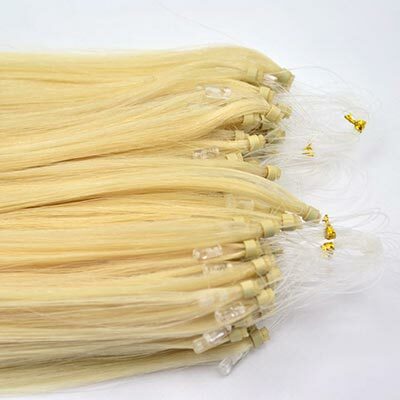 It's made by micro ring,fish line and human hair.Usually weight 0.5g,0.8g, or 1g per strand.100 strands per pack. 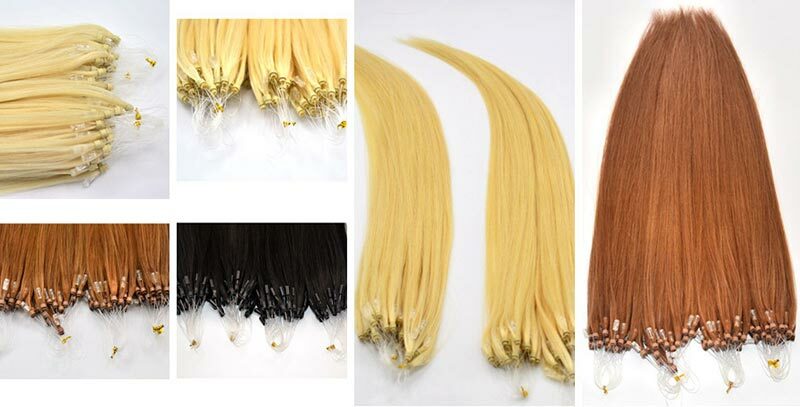 1pack is for a whole head. Micro ring loop hair is easy to wear and take off.